This nesting coffee table is where function meets the modern look you're looking for. This piece expands into a coffee table and two end tables, providing plenty of table surface when you need it for company. Since the end tables can neatly nestle back under the coffee table though, you can easily reclaim your walking and living space once your guests are gone. The piece's complementary blend of distressed, wooden tops and metal tube bases makes for an on trend, industrial, rustic design as well. 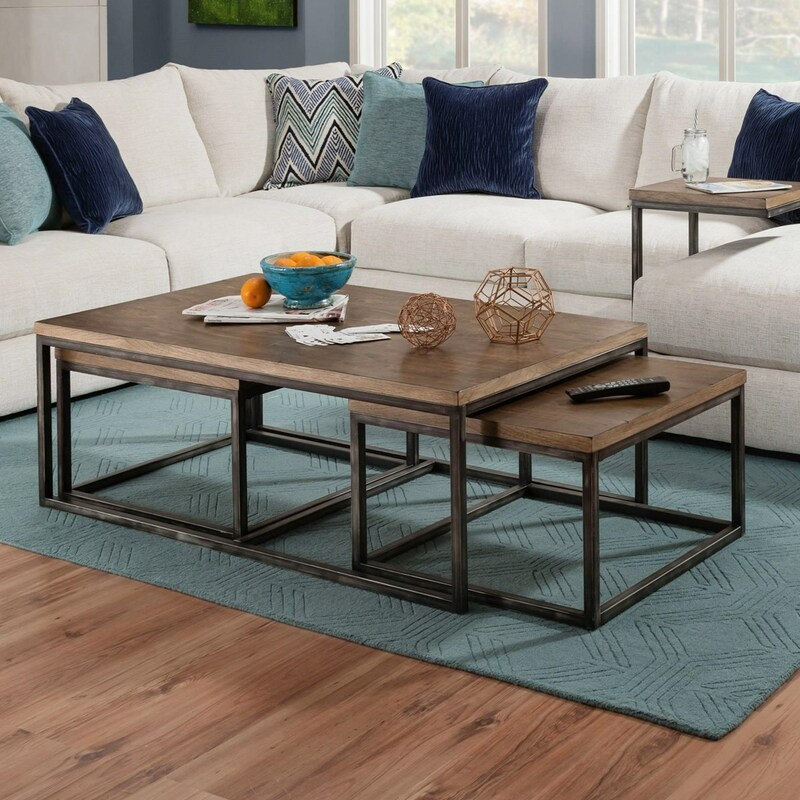 The Chandler Contemporary Industrial Nesting Coffee Table with Distressed Finish by Simmons Upholstery at Royal Furniture in the Memphis, Nashville, Jackson, Birmingham area. Product availability may vary. Contact us for the most current availability on this product.